Most visitors holidaying in the beautiful East Neuk rent one of the many fabulous Fife self-catering holiday cottages, often coming back year after year once they find a spot they love. Whether it is close to the beach or overlooking a golf course there is lots to choose from for family holidays and relaxing weekends away. Most of the Elie cottages are boutique self catering and owned by families who have been holidaying here for years, so school holiday weeks for self catering in Fife are much in demand. Make sure you try and book early. 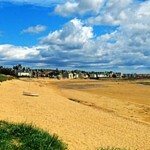 Elie is unique amongst the villages of the East Neuk of Fife and is probably the most popular and most in demand for holiday cottages Fife, even for those considering luxury self catering in St Andrews. The village follows the mile long golden sands of the award-winning beach, stretching from Chapel Green in the south to the Harbour in the north. The golf course and sports club sit right in the middle so you can leave the car at home because everything is an easy walk. Families walk to the beach or sports club. Most holiday accommodation here is self catering, so there is lots to look at. If its right on the beach watch out for the evening breeze that comes in off the sea, it’s cold! Best to be one back from the beach like Elie Cottage, so you can still hear and see the waves lapping, but get the full warmth of all day and evening sun. In high season bookings are almost always weeks and often difficult to come by. 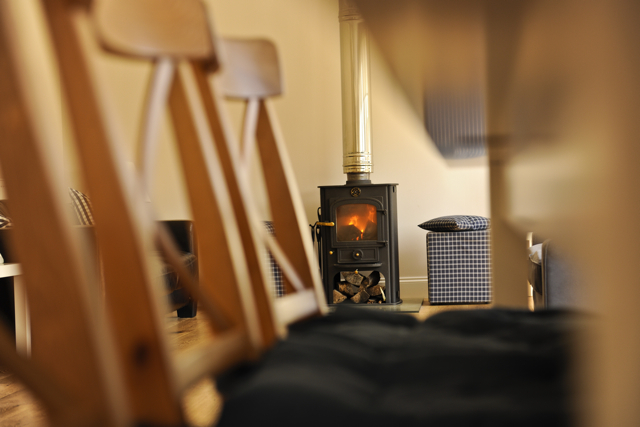 Outside of high season you can book long weekends and mid-week breaks at Elie Cottage for Fife self catering deals. Read what guests say in our online visitors book. Elie is a well known and beautiful seaside holiday village nestled around an award winning mile long curve of golden brown sand on the East Neuk of Fife. Originally a fishing village, Elie has plenty of self catering holiday accommodation available and now attracts tourists, golfers, sailors and surfers, as well as those wishing for a pleasant place to retire. Everyone who has stayed in self catering holiday accommodation in Fife knows the “Kingdom of Fife” is renowned for its world-famous golf courses and ancestral home to the old Scottish monarchs. Barely fifty miles at its widest point, Fife is small but diverse. The landscape shifts from gentle rolling hills in the rural hinterland to windswept cliffs, rocky bays and sandy beaches from the film ‘Chariots of Fire’. See the Fife Tourist Board for lots more history and things to do but here is a quick overview…. Elie beaches have won more prestigious Blue Flag quality awards than anywhere else in Scotland. Fife beaches dominated the annual Seaside Awards picking up four of the 8 Blue Flags awarded, with Elie alone picking up two for Elie Harbour and Elie Ruby Bay, both of which are less than an easy 10 minute walk from our Fife holiday Cottage – Elie Cottage. St Andrews Guide – A guide to all things St Andrews! A.P.E Traveller puts the adventure back into travel. It sees the world in a different light. It takes the road less travelled, scraping beneath the surface and goes farther and deeper to find hidden gems for travellers who crave adventure. Be prepared to dance in the rain, discover an ancient relic or ruins or even explore native jungles. Whether you’re planning a day trip or a long sojourn around the world, why not check out A.P.E Traveller for some unique and practical travel ideas on how you can create your own affordable adventure.